Off June Lake Loop. 4x4 recommended. 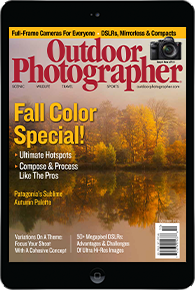 This is all I can say as I feel other photographers are best off doing their own research. 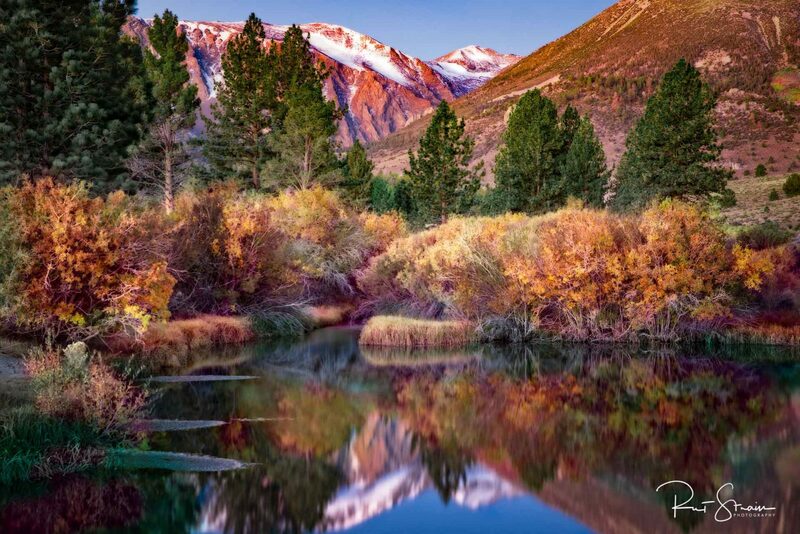 This pond is not "on the radar" for most fall color photographers in the Eastern Sierra. There are no aspens or cottonwoods. 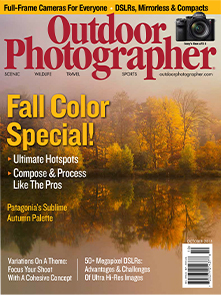 Fall brings color changes to willows and other brush that can add color to an image. Throw in a September snowfall on a nearby peak and the picture ended up with a nice balance of "cools" and "warms".